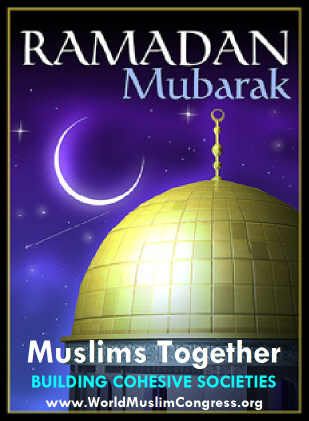 Hope this Ramadan has uplifted our spirits and taken us closer to God; i.e. we have acquired God qualities each successive day for the last 30 days of Ramadan. I hope we have become kind, forgiving, generous and all embracing. I hope we have no hate, anger or prejudice towards others, and no barrier between us and another human. I pray this Ramadan helps us become non-judgmental. If it has not, we can strive for it now. That is what piety (Taqwa) is all about- getting closer to God. God has kept his part of the bargain, he is closer to us than our jugular vein and knows everything we do, and now, it's our turn to feel him within us and be in tune with the goodness he represents. Insha Allah I'll write a summary of "what next after Ramadan” atwww.RamadanDaily.com capturing the essence of visiting nearly 22 Mosques and just about every denomination. It has opened my horizons to embrace all Muslims without prejudice, and I feel I have gotten closer to the prophet as well, by emulating him, and be a fraction of a billion of being Rahmatul Aalameen. It means I have chosen to follow his real Sunnah- to be mercy (Rahma) to the entire universe without discrimination. Alhamdu Lillah, I'm grateful to Allah for making this Ramadan meaningful to me. I hope it has been meaningful to you as well. Protect your Hazira (present status in the society). It is wise thing to secure our today, today, while we are work on securing our Aakhira (after life).